STEP IN to these new opportunities God has given to us to live out our mission to welcome, grow and serve. 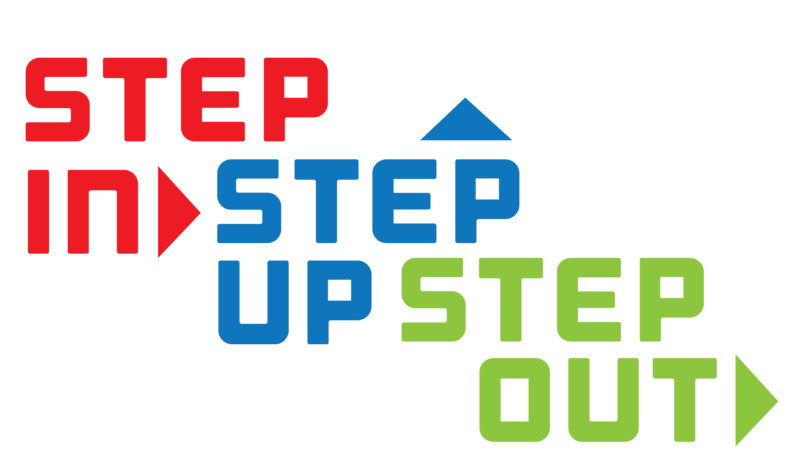 STEP UP to be a part of the mission and make a financial commitment to our 2016 Operating Ministries. The church will be at our best when every household is involved. STEP OUT into the community and world, sharing God's love with everyone we can. 1. Find where YOU are under Annual Income and Giving amount. 2. Move to the right to determine how much you are willing to grow in your giving. Our goal for 2016 is for every household to make a financial commitment to out Operating Ministries. Whether we are welcoming people through out Inviting & Involving ministries, growing people in our Children, Youth and Senior Adult programs or serving people with one of our many Outreach opportunities, all are made possible through the operating budget of the church. 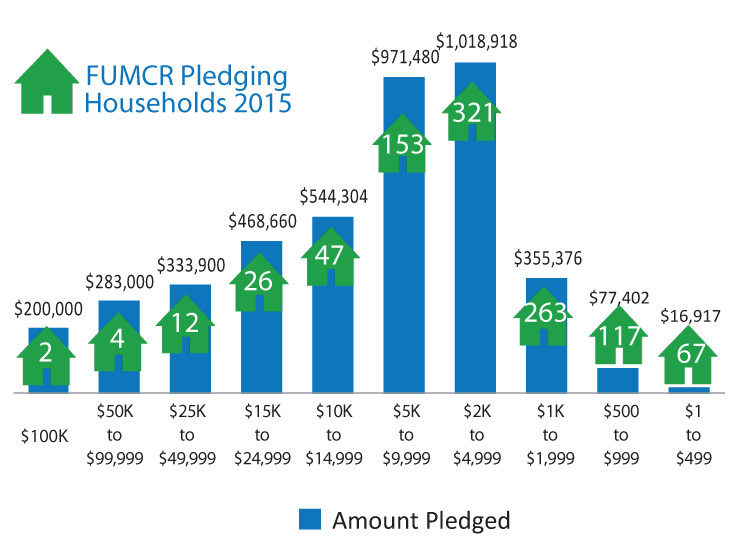 The chart below shows the breakdown of pledging households in 2015. $4.2 million of the $5.3 million budget came from members who made a pledge commitment, deciding at the beginning of the year that they would support the church.